We’ve selected six Lawyers of the Year for portraits and to share trends in their legal specialties and a quotation that has inspired them in their work. Notable trend: Mediation first appeared in New Hampshire courts in the early 1990s. The mediator is a neutral. Unlike a judge or jury, the mediator does not make any decisions on outcome. The parties retain control, and the mediator helps the parties to resolve their differences rather than perpetuating them. Mediation before trial is now required in most courts and is written into many contracts. 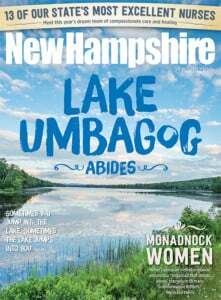 In just 25 years, it has become one of the most common forms of dispute resolution in New Hampshire. It will continue to gain in popularity because it is efficient, allows parties to control the outcome and can build bridges of trust for ongoing relationships.